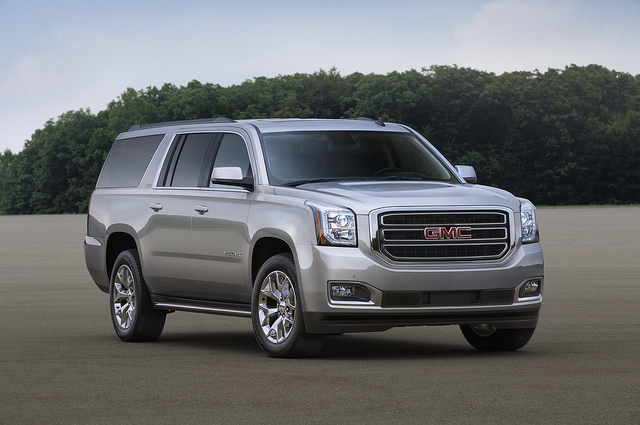 The 2015 GMC Yukon is one of the best SUVs with 3 rows sold today. The Yukon is one of the most affordable large SUVs on the market, and it has decent fuel efficiency for a large SUV at 16 MPG (city) and 23 MPG (highway). The Yukon is powered by a V-8 engine that is rated as having excellent acceleration and is paired with a six-speed automatic transmission. If purchasing the non-XL model of the Yukon, the cargo space will be limited when compared to other equivalent-sized large SUVs on the market. For consumers who have a need to tow regularly, the Yukon is also rated to tow up to 8,500 pounds, and it is one of the best-handling large SUVs on the market today.